I love this dish because it is so easy to make. A perfect weeknight meal. I used to make this often while I was still working. I would throw everything in the crock pot in the morning and my meal was basically ready when I would get home from work. This chicken is also great served over rice or on nachos. If you like spicy be sure to check out this tasty recipe! Spray your slow cooker with cooking spray. Add all of your ingredients except for the cream cheese and tacos shells. Cook on low 4-6 hours. During the last hour of cooking add in your cream cheese. Shred chicken and spoon into taco shells. Add additional toppings of your choice. Enjoy! These look delicious so glad you shared on the Food Spectacular Friday link up! 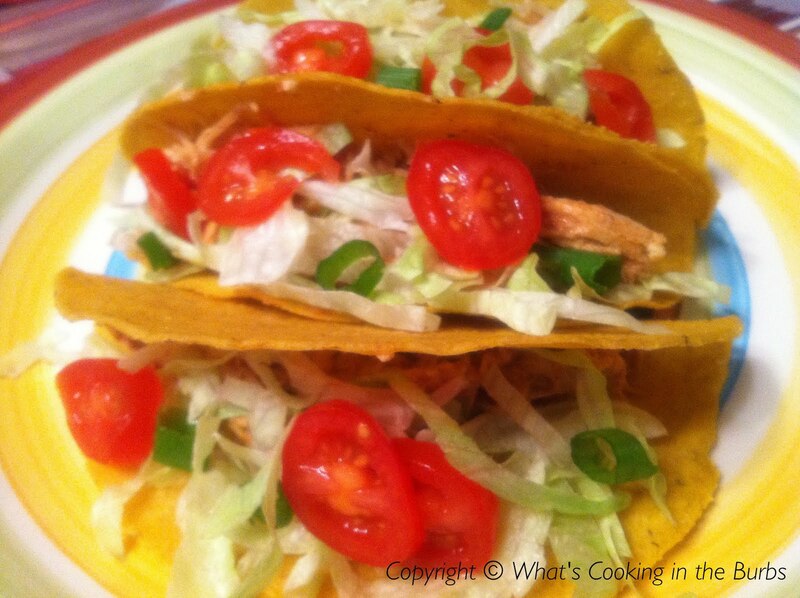 This is a great Slow Cooker recipe for tacos, we will love it. Hope you have a great weekend and thanks for sharing your tasty recipe with Full Plate Thursday. These look delicious, I'm having them tomorrow. I love taco's. Come link up to my party tomorrow at memoriesbythemile.com Would love to have you stop by. Pinning them.